Prost! Oktoberfest comes to Boston only once a year, and we’re here to help you make the right choices on where to celebrate. Harpoon Brewery has long had an Oktoberfest and serve up beer, bratwursts and the whole shebang! Taking place this weekend – October 2nd and 3rd – head over to their brewery in South Boston to be transported across the pond to Munich. If you’re not interested in hopping across the pond, hop across the river to Cambridge to take part in Harvard Square’s Oktoberfest festivities. October 11th marks the 37th annual Oktoberfest. Watch the legendary HONK parade, stop off in the Sam Adams Beer Garden, feast on some traditional German food and even partake in family friendly activities. 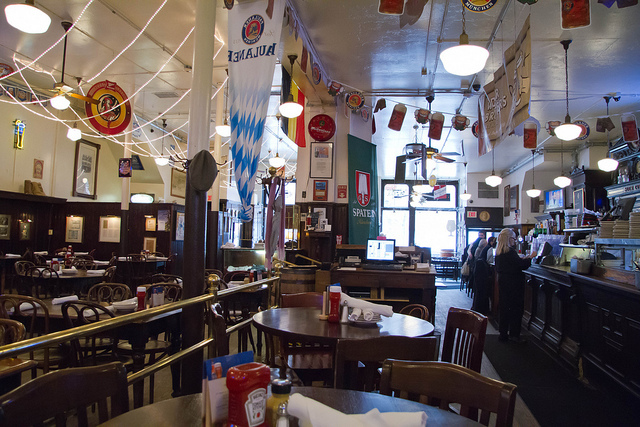 Jacob Wirth’s has been a mainstay in German tradition since 1868 when a restaurant was open with traditional german cuisine. Although no formal Oktoberfest activities will take place, you can head over to Jacob Wirth’s in the Theater District for a real German Beer Hall experience. Don’t forget your lederhosen! After the celebrations, retire back to Clarendon Square and enjoy a beer (perhaps Harpoon’s Octoberfest) on our roof top deck or in our hot tub.